With all of the responsibilities of the holidays, we find ourselves needing a vacation from our holiday vacation! Which is why we love the idea of having a winter vacay getaway to retreat to after the New Year. Now, if you’re like us, having a house you visit only once a year may seem like a dream…something you aspire for one day, but pretty unattainable at the moment. Since 2019 is about goal setting and turning dreams into reality, we did some research and actually came ti find that purchasing a rental property as a winter vacation destination could actually be a wise investment. The key to finding an amazing rental property isn’t just knowing the best locations, it’s knowing what locations are up and coming. We discovered a new report from the vacation rental pros at Vacasa that’s confirmed something that we’ve believed about the SoCal winter rental market for a long time. 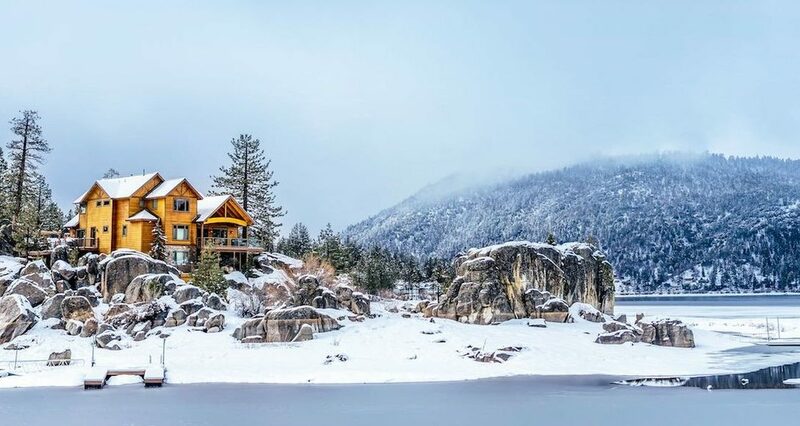 Vacasa applied their data analysis skills to the insane amounts of data they have on vacation rental markets around the country and pinpointed the Top 10 best places to buy a winter vacation home right now. Winter month occupancy in winter vacation destinations are up almost 25% year over year since 2016. That means that winter vacation destinations are a real trend. But there’s more to finding a truly lucrative vacation property than just it’s proximity to skiing and snowboarding. Vacasa’s Winter Vacation Report identifies the markets with the highest average occupancy increases in the winter months and chose the ones with the best one-year return on investment. Looking to invest in a vacation home? Check out Vacasa’s full report here!